Robert Hübner has been the Executive Manager of the RH Unternehmensgruppe since 1995, the third generation of his family in this position. 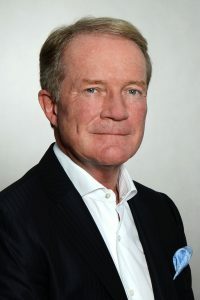 Under his management, the focus of the commercial business has shifted to the project development of office buildings, hotels, retail centers and residential and commercial buildings in Germany and Austria, as well as asset and shareholder management. Robert Hübner graduated in 1984 with a degree in Business Administration from the Free University of Berlin. That same year, Robert Hübner founded together with Peter Pistor the company Droste AG Berlin, which specialized in the restoration of old buildings in Berlin. When Mr. Pistor left the company three years later, Mr. Hübner took over several existing properties from Droste AG into the portfolio of his new company Hübner & Weingärtner Vermögensverwaltungs GbR, which he founded together with Manfred Weingärtner in 1988. In addition to the renovation of magnificent old buildings, the company also began to focus on the planning and construction of commercial and hotel properties. After assuming executive management, Robert Hübner centralized all the family’s own individual companies under the umbrella brand of the RH Unternehmensgruppe. Corporate social responsibility and commitment have always been fundamentally important for the Hübner family and they take great pleasure in actively practicing their convictions. In particular, Robert Hübner has a special place in his heart for kultural institutions and projects for children and people in need of care. His support includes financial assistance as well as active volunteer work. Since 2010, member of the “Premium Circle” of the Bayerische Staatsoper Munich. 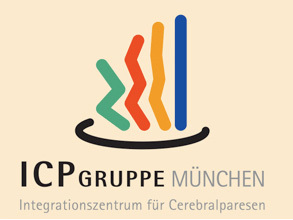 Since 1998, patron and member of the Stiftung ICP München, whose objective is to treat and support people with infantile cerebral palsy (ICP), a type of early-childhood brain damage, through a widely varied, yet individualized range of care services, as well as support in social and occupational integration. Since 2010, supporter of the Clarissa und Michael Käfer Stiftung, whose objective is to support geriatric aid as well as accompany elderly persons in Munich and surroundings. Since 2011, member of the Board of Trustees of the Deutsche Sporthilfe foundation, which provides conscientious and sustained support of top athletes, helping them focus on the balance between sports and education.